How many pieces of candy corn would $400 million get you? 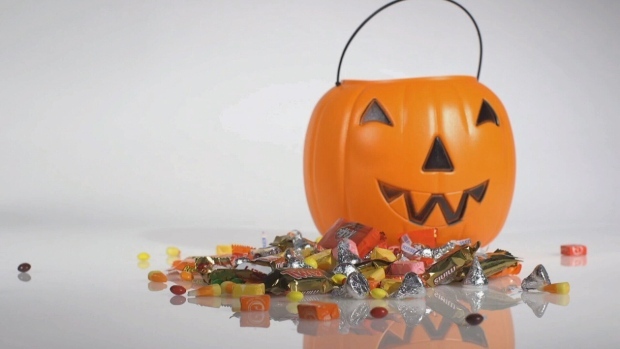 Obviously, Canadians aren’t buying just that particular love-to-hate Halloween treat, but still, $400 million seems like a lot of money to spend on cavity causing, hyperactivity inducing bonbons. The Retail Council of Canada assures that Canadians really are spending all that coin and much more celebrating Halloween. “We estimate that the Halloween market is between 900 million to a billion dollars,” said Diane Brisebois, President and CEO of the Retail Council of Canada. It seems Vancouver Islanders are right in there, following all of the Halloween trends, but one. Canadians spend approximately $300 million on costumes, which averages out to about $60 per costume. The amount we are spending per person hasn’t changed that much over the last couple of years, but more adults are getting in on the fun, buying costumes for themselves. Vancouver Islanders are no exception. The owner of Party Crashers, in Langford and Victoria, said year after year he’s noticed an increase in adults shopping for themselves. “Halloween is for both, it’s for little people and big people,” said Dave Scotthorne. While the idea of so many grown-ups dressing up seems surprising, Edwin Hodge, a Sociology professor at the University of Victoria said it makes perfect sense. “Adults have always dressed up, there has never been a time in human history when we haven't,” he pointed out. “We dress up for religious events, we dress up for important cultural events, we dress up for galas and masquerade balls, I mean Shakespeare talked about this 500 years ago." The difference is, dressing up used to be something only rich people did. “But now it’s working class and middleclass people who are also dressing up,” said Hodge. He said getting in costume can be a way of showing you fit in or belong to a certain group, and companies marketing Halloween as a time to dress up have also pushed the idea. But there doesn’t have to be a deep reason to don a costume. “There is the element of dressing up is fun, it’s enjoyable and so why shouldn’t we,” added Hodge. But what to wear? That’s the multi-million dollar question, and that’s where islanders appear to differ from the rest of the country. Most top costumes in Canada lists (which are generated by tracking online searches) include Kim Kardashian, Meghan Markle and Justin Trudeau. Number one on many of those lists is Brite Bomber from Fortnite, a hugely successful video game. But at InCharacter Costume & Novelties, with three stores across Vancouver Island, they have found demand is highest for a completely different selection of costumes. “We have found that unicorns, dragons, wings in general, high-end Harry Potter clothing, contact lenses, and morph clothing seem to be what’s big this year,” said InCharacter’s President, Stephen Kass. Harry Potter? Isn’t that old? Apparently not, as the same demand is being felt over at Party Crashers. “What’s really strong is Harry Potter, a lot of people coming in asking for that. 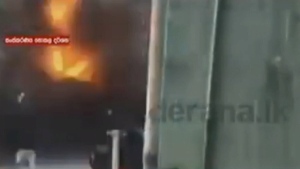 We had quite a bit of it, quite a lot of it is gone,” said Scotthorne. He said wizards in general are popular, whether from Harry Potter, or Gandalf from the Hobbit. Other classics round out the most common requests. "Witches are back and Dracula has been pretty strong, the vampire stuff has been strong and believe it or not Indiana Jones, so the golden oldies are coming back," said Scotthorne. Candy, check. Costumes, check. But Halloween shopping isn’t over yet. Canadians are spending another $200 million on things like exterior house decorations, theme party decorations and, don’t forget, pumpkins. It is a lot of money, but Scotthorne pointed out the nice thing about Halloween is that anyone can take part, regardless of age or background. 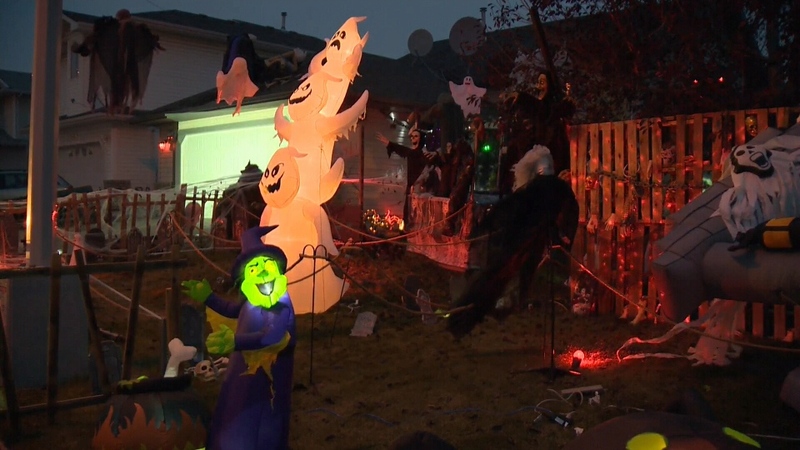 Canadians are spending $200 million on things like exterior house decorations, theme party decorations and pumpkins, retailers say.